Three more major players have joined the online Arabic World Cup scene just as the planet prepares for it’s most popular tournament tomorrow at 6:00pm GMT. 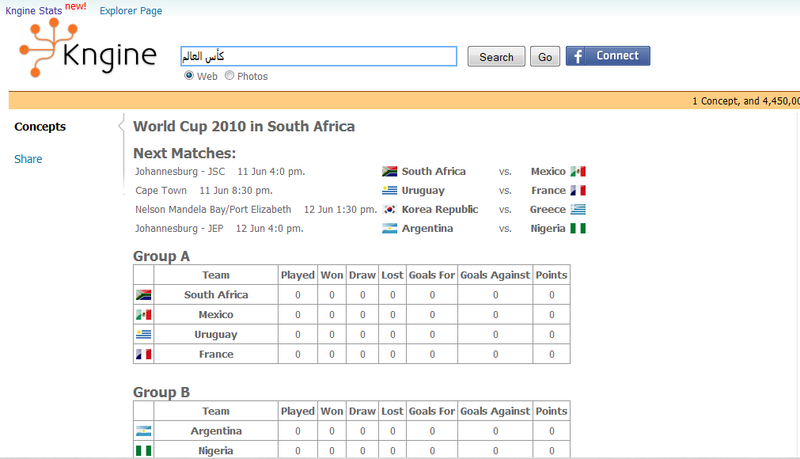 Shawweet Beta: One of the region’s leading Football portals Shawweet.com has released their first free Blackberry App for all you corporate football lovers in partnership with Jordan’s BberryApp that provide Live Scores results for football matches for the World Cup 2010, in addition to live football scores for world leagues also. Download it here and stay up to date. 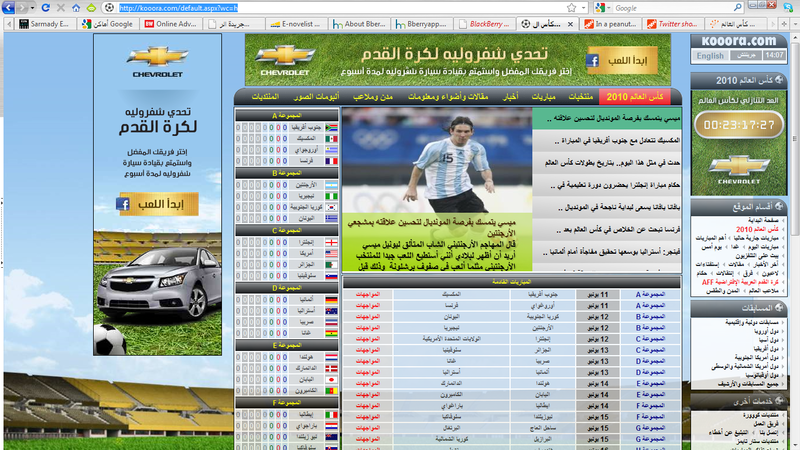 Kngine: The region’s premiere Semantic Search Engine has promised and followed through with their coverage of the World Cup by simply searching for World Cup or “كأس العالم” a page of Latest Matches Results, Next Matches Dates, Groups Tables to feast you’re eyes on. Check it out if you manage to avoid the results everywhere else. Kooora.com: The region’s well undeserved number one in everything football have realized their potential and with great respect to their readers have released: Nothing. Although we should mention they’ve added a section dedicated to the World Cup you can check out if you hate your eyes enough. All in all things are looking good for our Middle Eastern World Cup enthusiasts, this being the single most important online money driver for at least the next month, expect more and more in the very near future. For more World Cup apps check out our previous World Cup coverage on TheNextWeb Middle East.